Investors are loading up their short bets against the S&P 500. 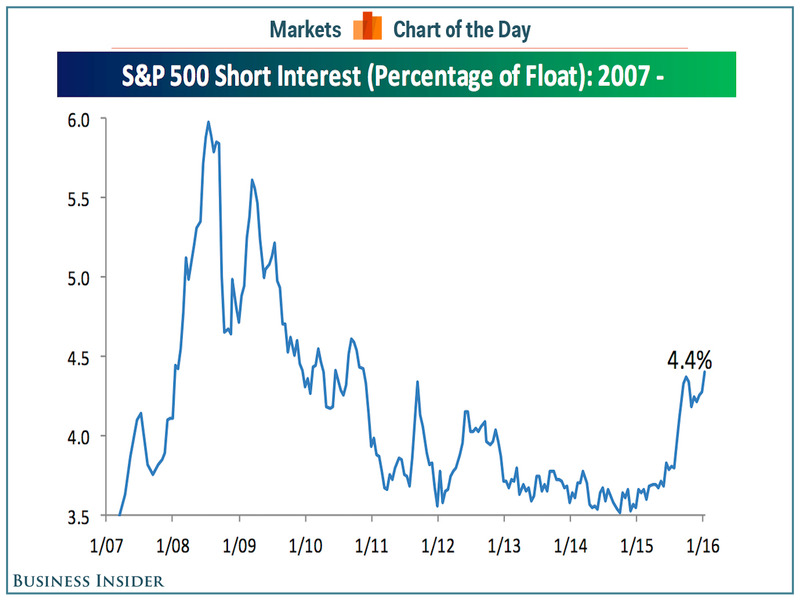 In a note to clients on Thursday the team over at Bespoke Investment Group took a look at the short interest for the S&P 500 and found that the percent of shares outstanding being sold short is at its highest level since 2010. For the S&P 1,500, a broader index of stocks, short interest is at its highest levels since 2012. According to Bespoke's data, about 4.4% of S&P 500 shares outstanding are currently being sold short with Bespoke adding that, "While the intensity of the sell-off to start the year may have caught investors off guard, traders have been quick to press their shorts." Said another way, the more nimble investors in the market have been pressing their advantage as stocks have declined. Even more interesting is how these traders are doing. Because while you'd expect that stocks investors are betting against will go down (since, you know, that's the idea), for a long time during the post-crisis bull market this was not the case. In fact for a while the most shorted stocks did better than the average as the bull market raged and every dip was a time for buying. But how times have changed! 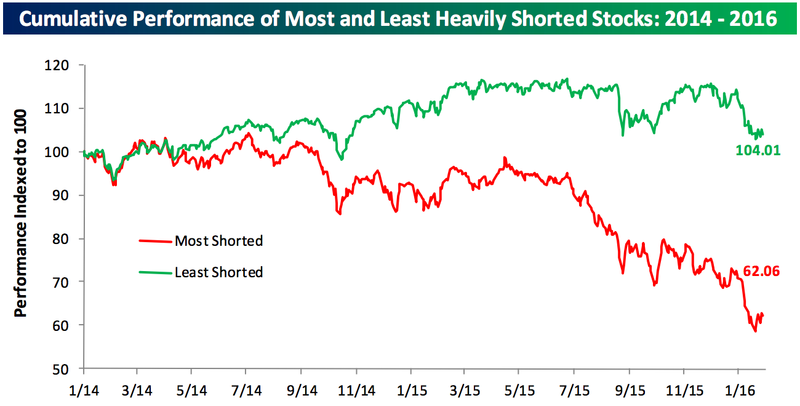 As Bespoke notes the most shorted stocks have fallen about 38% since the start of 2014. The least shorted stocks — which I guess you can think of as the stock shorts are most afraid of, but also that's not entirely fair — are up about 4% over this period.